—If you’re traveling to Hawaii and plan on using those supermarket plastic bags for your wet bathing suits, you’re out of luck. That’s because, on July 1, Honolulu County (which encompasses Oahu) became the last county in the state to enforce a ban on most types of plastic bags. The law is in response to environmental concerns that plastic bags in Hawaii are littering our parks and beaches. Plus, many environmental groups say sea turtles can mistake the plastic bags floating in the ocean for limu (seaweed) and can choke on the plastic if they consume a plastic bag. The ordinance was actually signed three years ago, but this is the first week retailers could be fined for handing out plastic bags at checkout. In fact, they could be fined up to $1,000 a day. The City Department of Environmental Services is responsible for enforcing the ban. You may still see some types of plastic bags in Hawaii at checkout. That’s because the law allows for a number of exceptions. For example, retailers can give compostable plastic bags or recyclable paper bags that contain a minimum of 40 percent post-consumer recycled content. One more exception? Plastic bags that are at least 2.25 mils or 0.0022 of an inch thick. This is an example of an "acceptable" plastic bag. 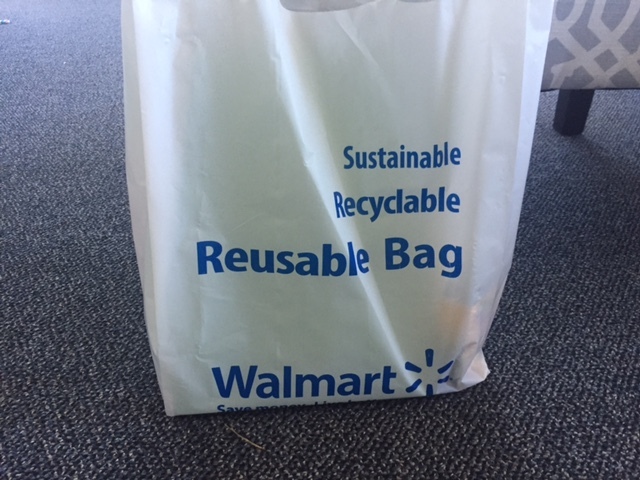 Although most retailers will give out paper bags or the acceptable plastic bags at checkout, consumers are urged to bring in reusable, fabric bags when they buy their items. Some retailers say they plan to charge a small fee if customers choose to take an acceptable plastic bag at checkout. If you are buying fresh fruit, vegetables, or other loose items in a grocery store, plastic bags in which you place those items are still permissable. Also, restauranteurs can provide plastic bags for items, such as take-out food. Environmentalists, such as Sustainable Coastlines Hawaii, are cheering the ordinance and say the ban will cut-down on the clutter and save wildlife. And, they say the neighbor islands, which implemented a plastic bag ban before Oahu, have seen a marked reduction in the number of plastic bags in their parks and beaches. Plus, they say most consumers have simply changed their habits and are using reusable bags more and more. 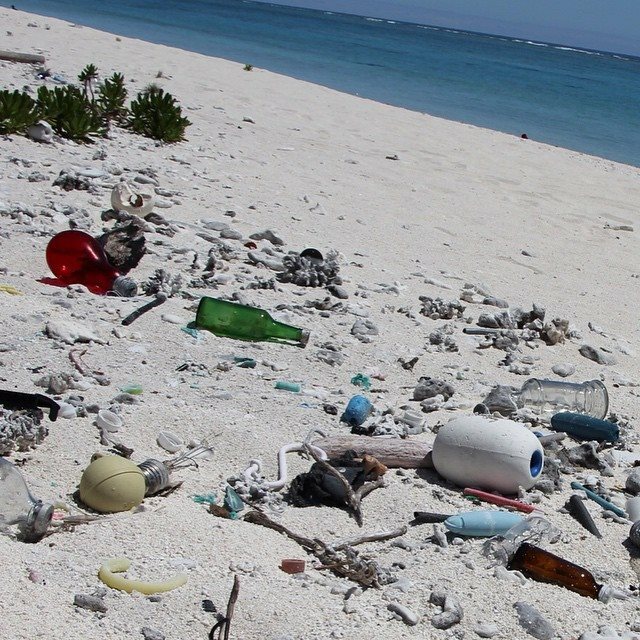 Environmental groups, such as Sustainable Coastlines Hawaii, say plastic bags add to the litter already collecting on our beaches. However, some retailers say the new, acceptable bags cost a great deal more to buy. In fact, some retailers place the cost of the new bags at 10-14 cents, as opposed to the 2 cents they paid for the “old” plastic bags. So, they must either charge for them at checkout or raise prices in their stores. In the end, they say, consumers may end up paying more for groceries and other items because retailers have to absorb the cost of the new, more expensive bags. Many retailers won’t hand out bags at all, and consumers will need to take loose items to their cars, if they forget their reusable bags. Retailers have had three years to prepare for the plastic bag ban on Oahu, but some remain confused about what’s acceptable and what’s not. And, to be fair, habits are hard to break, even if breaking them is for the greater good. So, plan on purchasing a reusable bag when you come to Hawaii or remember to bring yours from home!